James R. Hannibal presents a thrilling adventure through history, complete with mysteries, secret items, codes, and a touch of magic in this stunning middle grade debut. But Jack’s father was not who he claimed to be. 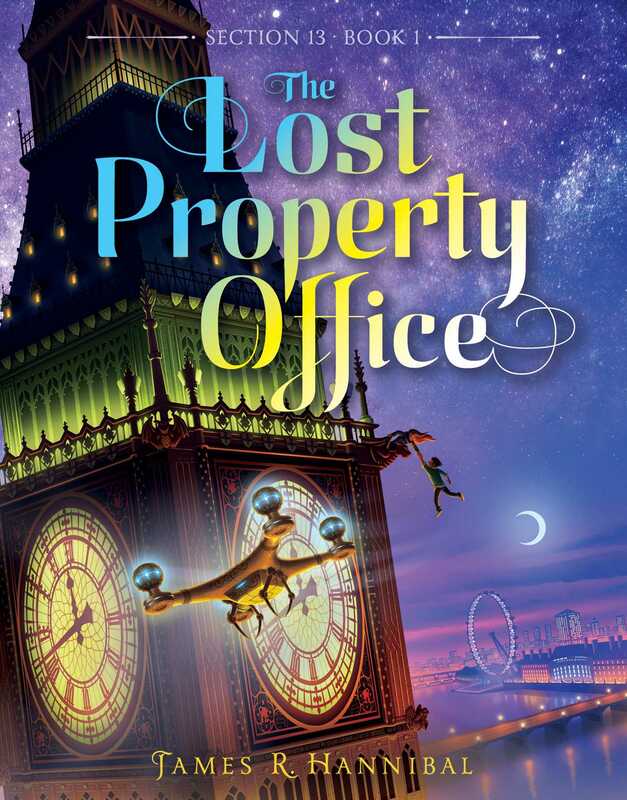 It turns out that he was a member of a secret society of detectives that has served the crown for centuries—and membership into the Lost Property Office is Jack’s inheritance. Now the only way Jack will ever see his father again is if he finds what the nefarious Clockmaker is after: the Ember, which holds a secret that has been kept since the Great Fire of London. Will Jack be able to find the Ember and save his father, or will his talent for finding things fall short? A PAIR OF rather large, blue-green beetles buzzed north over the River Thames, weaving back and forth over the water’s surface in that haphazard pattern that beetles fly. Had they bothered to look, the early-morning joggers in London’s Victoria Tower Gardens—wrapped up against the December cold in their leggings and winter caps—might have caught the glint of the rising sun reflecting off iridescent wings. Had they looked even closer, they might even have wondered if those wings were made of some strange metal alloy. But they did not look. No one ever does. The bugs did not go entirely unnoticed. A pike leaped out of the river and snatched one from the air for breakfast. As the fish splashed down with its meal, the remaining beetle halted its progress and hovered, buzzing impatiently. The murky brown depths lit up with a muted blue flash and the pike floated lifeless to the surface, a look of dreadful shock in its round eye. The captured beetle crawled out of its gill, shook off a bit of fish goo with an indignant flutter of its clockwork wings, and rejoined its companion in flight. The beetles left the Thames at Parliament and flew skyward, hugging the eastern wall of the House of Lords. Upon reaching the rooftop, they continued north, dodging dozens of Gothic spires and hundreds of pigeon spikes, before climbing again, this time flying up the southern wall of the Great Clock Tower—known to the world as Big Ben. They alighted on the giant minute hand, rested a moment to watch the long morning shadow of the tower recede along Bridge Street, and then, with the rapid clicking of six metal legs apiece, they crawled down to the hub and wound their way inside. In the quiet chamber below the clock, Constable Henry Biddle sipped his morning tea. Certainly, sitting in an uncomfortable folding chair and guarding the door to an old staircase was not the post he envisioned when he had joined the Metropolitan Police the year before, but one had to start a career in law enforcement somewhere. Besides, left unguarded, the rickety iron stairs and the open-air bell platform at the top were a real danger to overcurious tourists. A dull, metallic clunk interrupted Biddle midway through a long sip. He lowered his paper cup and turned in his seat to stare at the lock on the upper stairwell door. He stared, in fact, for quite some time, but the old iron lock made no other sound. Odd. Biddle gave the door a frown to let it know who was in charge, then returned his gaze to the lower stairwell door across the chamber and raised his tea again. Once more, he was interrupted by a noise—static from his radio. He let out a dissatisfied grunt as he set the tea down next to his chair. Couldn’t a man have some peace at the start of a long shift? The bug launched itself straight at Biddle’s face. A resounding zap and a blue-white flash filled the chamber, followed by a light sizzle and the lingering scent of burning hair. The constable slumped in his chair. His checkered hat fell from his head, knocking over the paper cup and sending a river of tea winding through the joints and crevices of the old stone floor. The chamber remained silent for several seconds, with the beetles hovering patiently over their victim, until a man in a long black overcoat and a black fedora emerged from the lower stairwell. He swept past the stricken constable, through the door, and up the spiral staircase, with the two beetles heeling at his shoulder like a pair of well-trained hounds. The Frenchman peeled back the lapel of his overcoat, revealing a deep inner pocket that undulated with the creeping movement of whatever nested inside, and the two clockwork bugs happily fluttered over to join in. Their master then bent to scrutinize the rail posts, his eye mere inches from the black-painted iron. He fixated on the center post, holding his ear close to the knob and knocking on it with his knuckle. He tried giving it a twist, but it wouldn’t budge. After a frown and another careful knock to confirm his suspicions, he tried again, this time twisting with both hands. With a great crack, the knob finally gave. 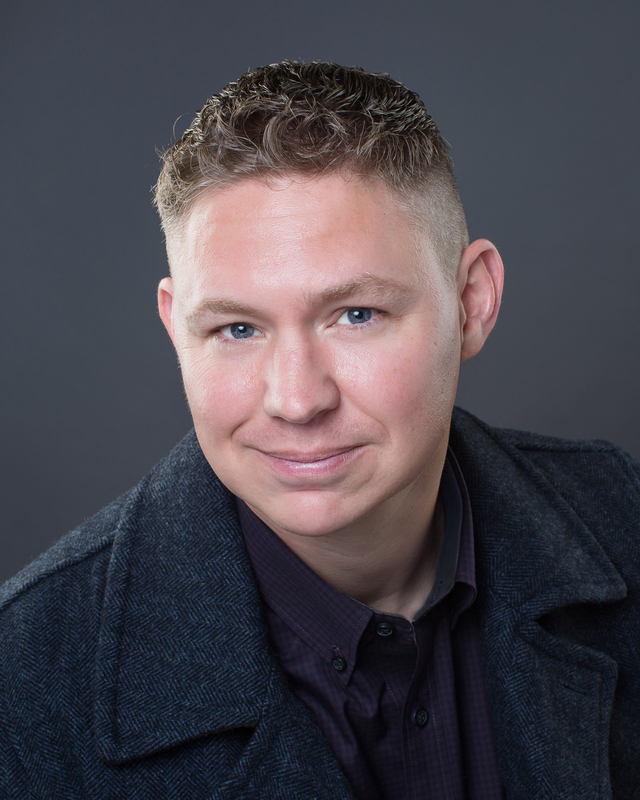 James R. Hannibal is no stranger to deep dark secrets or hunting bad guys, having served in the US Air Force as a stealth bomber pilot and a Predator mission commander. Like Jack Buckles, James “suffers” from synesthesia, an intersection of the senses that was once considered a mental illness and often causes hyperobservance. If you bake him a cake, he might tell you that it smells blue and sticky—and you should take it as a compliment. You can learn more at TheLostPropertyOffice.com. "... it’s the highly detailed magical world that stands out. Still, the ride is fast and fun. Buy where fantasy flies off the shelf."